Let’s kill the clutter and trash that lands on your marina. Give your deck or dock the clean feeling it deserves with stylish trash bins that invite people to actually toss their garbage instead of just letting it fall. Encourage everyone to do their part and reduce the potential for trash to cause slips and trips. 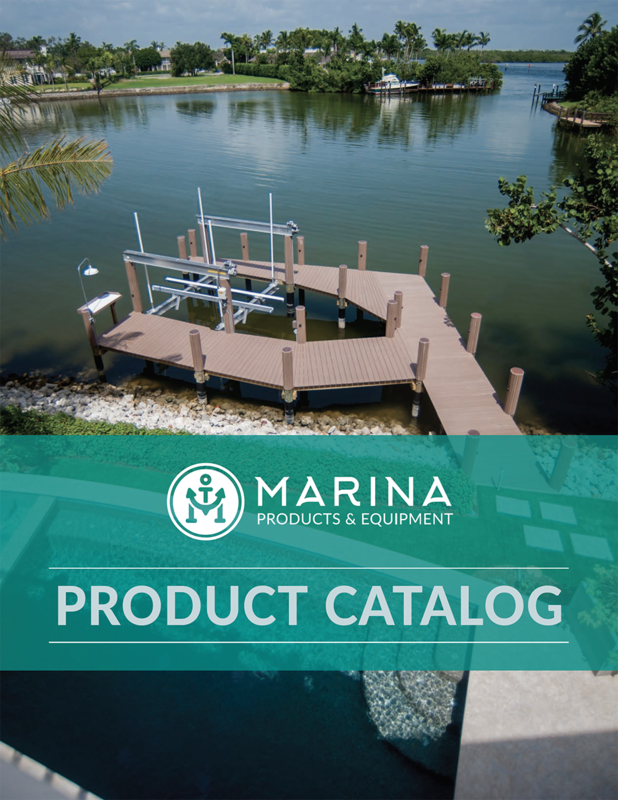 It’s the best option you’ve got to look great, whether you’re running a large marina, private dock, or just want something sturdy for your slip at home. All of our rough water trash bins are designed to look pristine while putting up with whatever the sea throws at them. That means you’ll get an ultra-violet resistant white gel coat that doesn’t rub off even on the exposed, rounded edges, a domed lid for easy access and removal, and an optional custom-fit Rubbermaid trash receptacle interior. Marina Products & Equipment stocks two sizes, the 20-gallon (17 1/2”L x 17 1/2”D x 31”H Wt. 47 lbs.) and the 32-gallon (21”L x 21”D x 35”H Wt. 59 lbs.) options.